Major shifts in information and communication landscapes present new opportunities for librarians. Read how your info specialist can help learners of all ages effectively use, manage, evaluate, organize and communicate in the 21st Century. Students with disabilities spend 80 percent or more of the school day in a general population. While this may create some challenges in busy classrooms, there are also many rewards in teaching a diverse population. Technology can be the great equalizer. Read more about the latest tools and trends in assistive tech, Title 1, and IDEA funding. Put to the Test: T&L editors take some new products for a test drive. You’ve heard the hype; now read the reality. 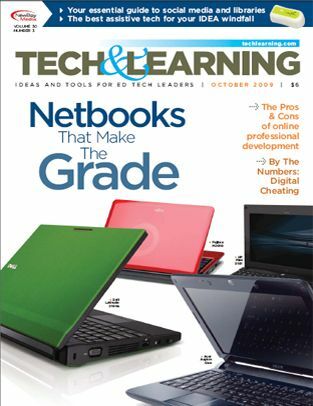 Last year, Netbooks were the great promise for education. Now that they are being put to use, how do they measure up? We asked four districts to detail their experience.